Not Just Pretty | Food It Yourself! Summer is definitely on the wane here in New England. Apples, pumpkins, and Hubbard squash are popping up at the farm stands. The sun is still warm, but the wind is cooler. I am trying to remember where I stashed all my sweaters last May. I decided the space between our cherry trees was perfect for our crocus bulbs. 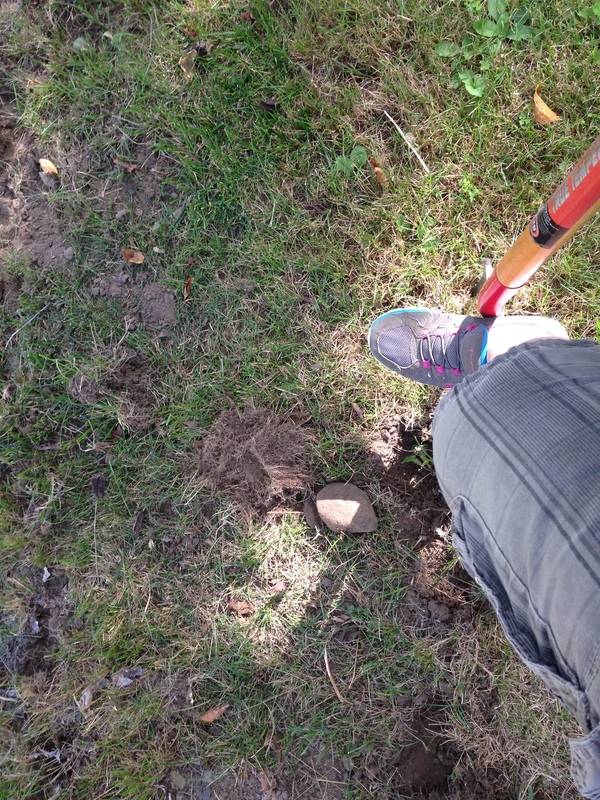 The soil is very tight and stony in that area so I went for hand tools rather than the rototiller. Bonus- no need to hit the gym today! Yeah, this soil is very stony and, to be blunt, crappy. Speaking of which…. 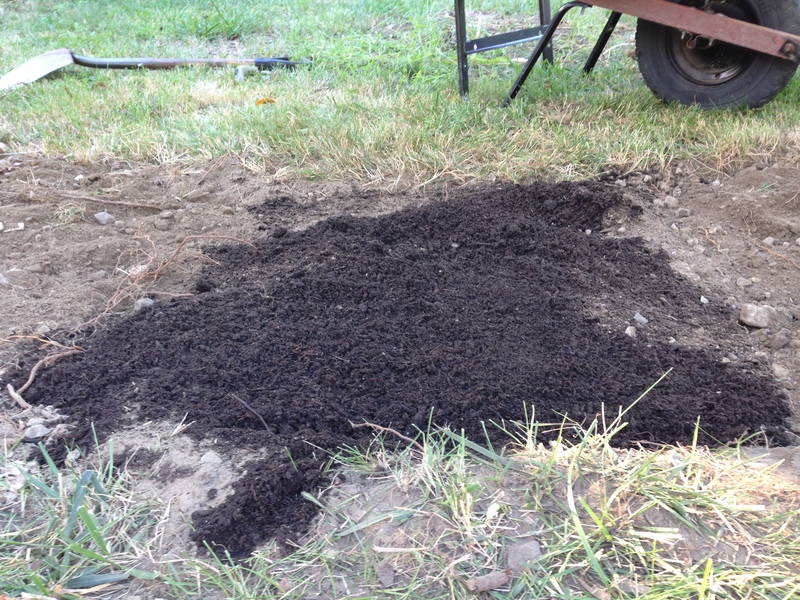 I replaced the native soil with my favorite soil fixer- composted manure. It is gravel-free and will offer the crocus bulbs just enough nutrients to establish themselves. 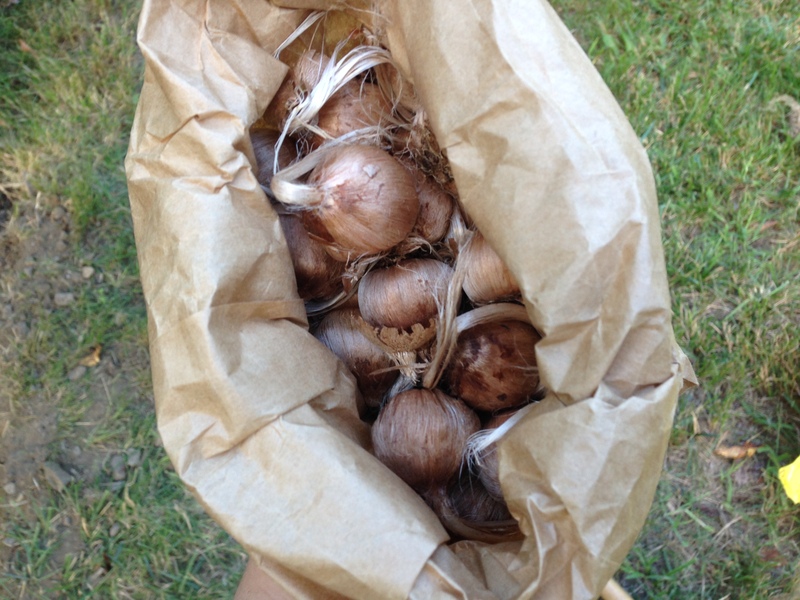 Here is the bag of bulbs, as received from Baker Creek. I looked them all over prior to planting. None looked damaged or moldy, so each one was planted. 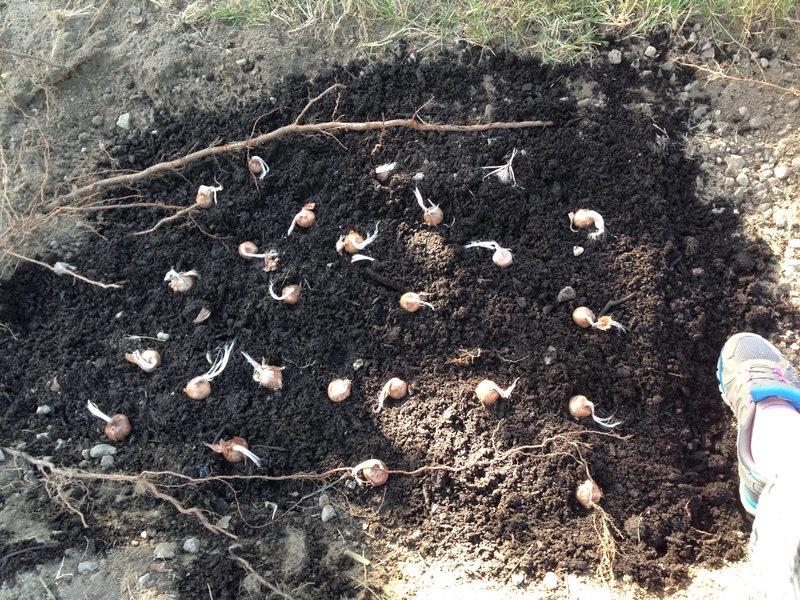 The included planting instructions noted that 12 bulbs could be planted per square foot. I built up a (roughly) two square foot area of manure in the trench I dug and distributed my 25 bulbs. 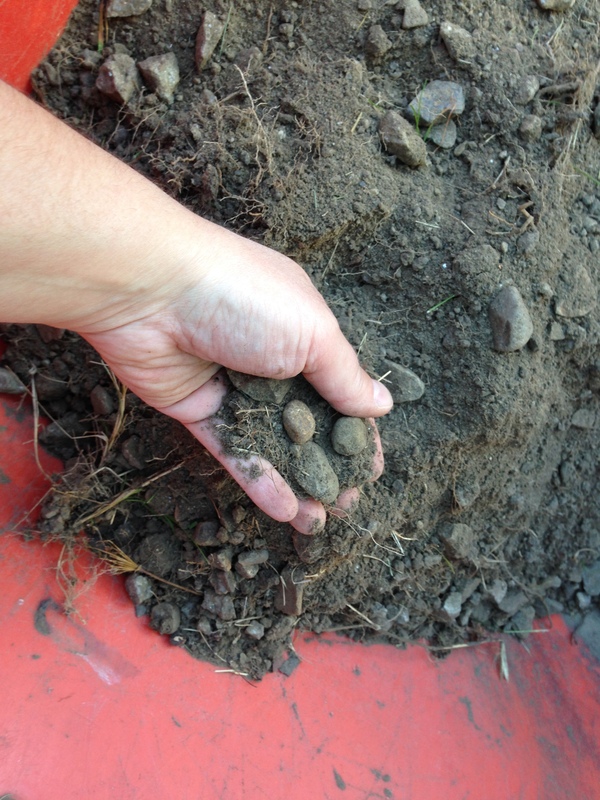 The prescribed planting depth for crocus bulbs is two inches, so I topped my arranged bulbs with two inches of manure. Nothing is too good for these beauties. 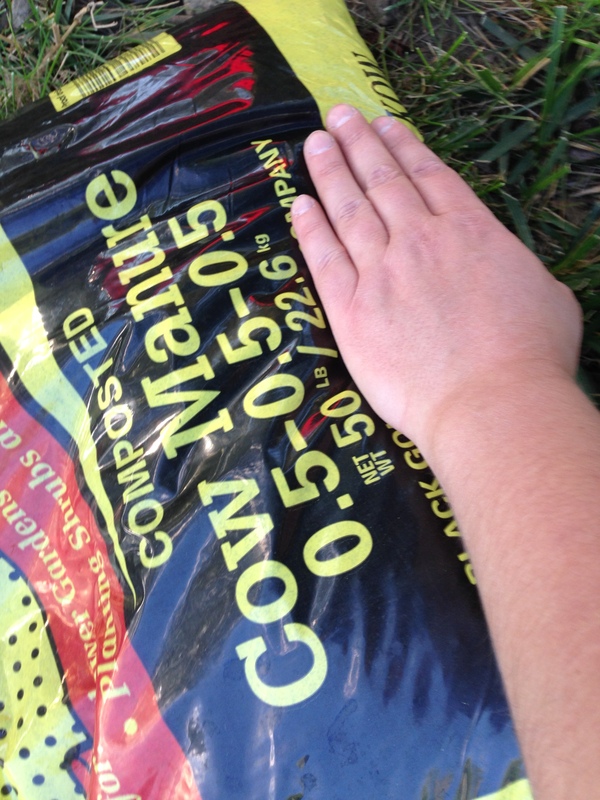 Actually, I used two bags of manure, for a total cost of under $10. Finally, I topped the crocus bed with a layer of bark mulch. 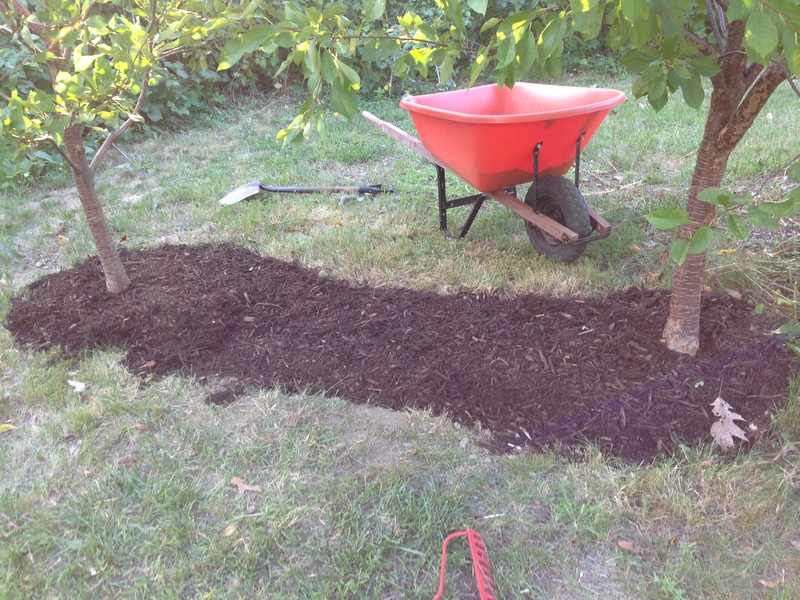 I extended the mulch around the two trees. As my mom always says- you have to do the pretty. I may have to try Cupcake Project’s saffron cupcake recipe, just to I can experience dessert like the 1%. I’m not 100% sure saffron crocuses will survive in my area. Some on-line sources say they are hardy to zone 4, others say they will only survive to zone 6. (Click here if you don’t know what that means). I am willing to take the chance, though, to add some exotic flavor to my DIYet. What is the most far out thing you’ve ever tried to grow? Did you succeed? Share in the comments section!